Tracee Frazier is committed to helping students and schools achieve excellence. As a former educator and school leader, she has worked primarily in urban charter schools, public schools and school districts for the past fifteen years. Over that time, Tracee has led the conceptualization and implementation of start-up schools, written K-12 curriculum, developed standards-based assessments, raised funds for critical programs, and supported effective, data-driven instructional practice in schools. She is passionate about arts education, having created and implemented performing arts programs as well as developing tools that educators can use to integrate arts, literacy and reading across the curriculum. Tracee is also skilled at developing effective professional learning experiences for educators and leaders that lead to shifts in practice. 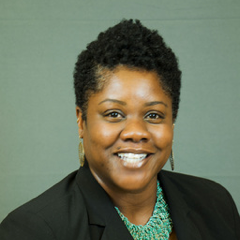 Most recently, Tracee served as an instructional leadership director in Tulsa Public Schools, where she worked to evaluate, coach and support principals. Prior to Tulsa, Tracee supported DC educators and leaders as a director of high school instruction in DC Public Schools’ Office of School Turnaround and as a Manager of Instructional Coaches.